The law firm of Randolph & Associates has a wealth of trial experience. With nearly 60 years of combined practice experience, led by Donald Randolph's 40 years, our attorneys offer quality and diligent representation across a comprehensive range of personal injury, criminal, and civil litigation practice areas. The firm specializes in representing clients in all types of serious cases throughout Southern California. In the last 3 years alone, Randolph & Associates has obtained over $20 million in verdicts and settlement for our clients. Donald Randolph is a graduate of the United States Military Academy at West Point, a retired Captain in the U.S. Army, and a 1974 graduate of the University of Southern California School of Law. Certified as a Criminal Specialist since 1983, he has successfully represented tens of thousands of clients, including a number of high profile matters. Since 1990, he has applied his skills as an AV-Rated trial lawyer to plaintiff's personal injury cases and general civil litigation. 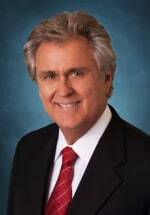 He has been honored by L.A. Magazine as a SuperLawyer every year since the list's inception in 2004, and is consistently named among Southern California's best trial lawyers.